The existing vaulted ceiling linking the two rooms of the boutique, located inside the historic GUM Department Store, is maintained and washed with a perimetral light. 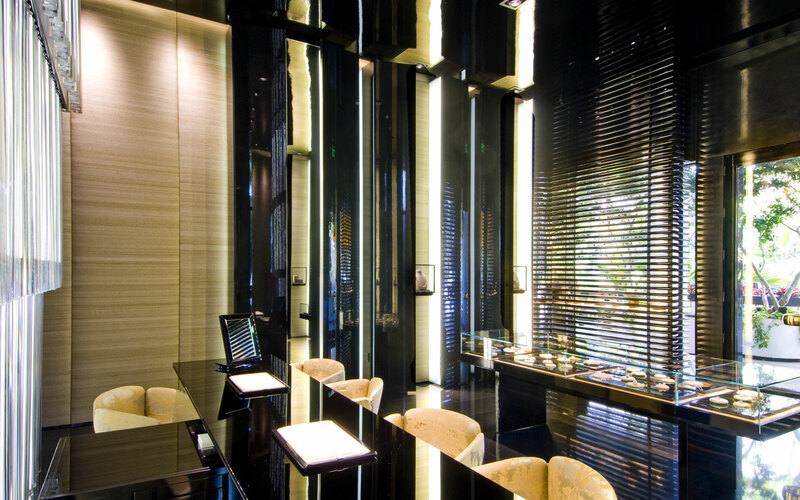 To preserve the rich allure of the environment, the rest of the walls are treated with velvet panels and a dark lacquered wood boiserie shaped with a horizontal concave motif wrapping the entire store. 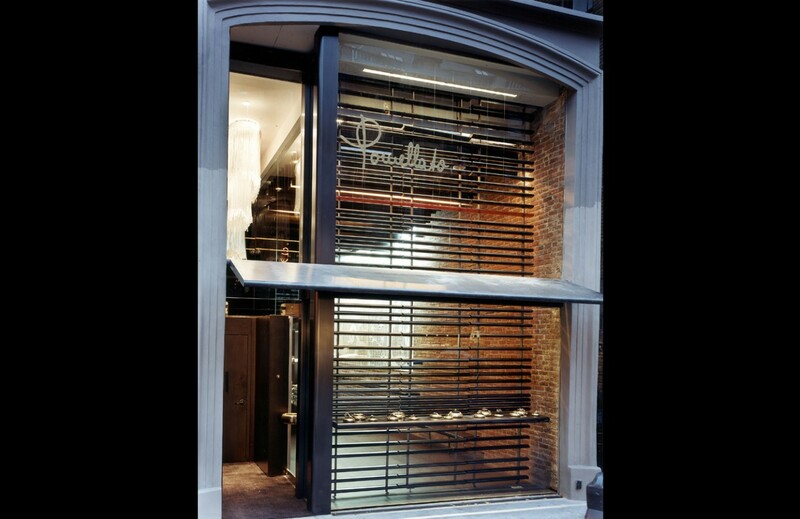 In between, a long niche displays the jewelry inside sculptural glass volumes. A black glass wall at the end of the store hides a cash wrap .